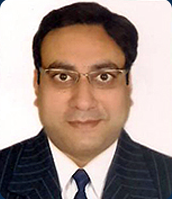 Dr. Ashish Gupta MDS, Prof & HOD is a well renowned Oral & Maxillofacial Surgeon with a no. of Publications and a very active member of Association of Oral & Maxillofacial Surgeons of India.
. Member of organizing Committee of 13thIndian society of oral Implantologistry -2006.
. 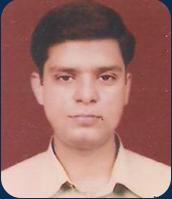 Organizing Secretary of IDA Faridabad Annual Conference – 2006.
. Co-coordinator for implantology (Hands on) course SRDC Faridabad in 2006.
. Member organizing committee for IDA Faridabad conference -2009, 2010,2011.
. Organizing secretary of 36th annual conference AOMSI held at New Delhi-2011.
. Member of executive committee of AOMSI for two consecutive years ( 2010, 2011).
. Secretary, Indian Dental Association, Faridabad branch since Jan 2006.
. Headed various posts in IDA, Faridabad branch including that of secretary, joint secretary, vice president, president.
. More than half a dozen publications in pubmed indexed journals, IDApublications etc. This department was established in 2003 with an aim of achieving excellence in the field of Oral and Maxillofacial Surgery. Department today is equipped with state-of-the-art infrastructure and is fast becoming regional center for maxillofacial surgeries. With the opening of Shanti Devi Memorial hospital (120-bedded) in 2008 department got another shot in the arm. From there onwards vision of becoming tertiary care centre for oral small surgical procedures is on course of being reality. Today this department is dealing with complex oral facial anomalies and pathologies problems. It gives us immense satisfaction to successfully treat unprivileged section of the society. Thirst is on following internationally accepted protocol for all surgeries, O.P.D procedures and minor operations. We are extremely focused on developing scientific attitude, analytical thinking & healthy discussions among our wards. Experiences, Complications & innovative techniques are discussed with students to give them maximum exposure. As a Research institute, emphasis is laid on innovation. Our department is carrying out research on diverse topics like TMD’s, surgical pathology, Orthognathic surgeries. Various research papers have been published in recent years in Journals of international repute. Dedicated Staff, supporting management, excellent Medical back-up, & innovative minds of our bright students are helping us to take this glamorous branch of Oral & Maxillofacial surgeries to the need level. Our ultimate goal is to impart skill & thinking of a clinician & research in students & provide affordable tertiary care to the least privileged section of society in a field that has so far been elusive to them.
. Pankaj bansal, Sumidha rohatgi,Archna agnihotri,Ashish gupta. Non syndromic multiple supernumerary teeth with peripheral giant cell granuloma a case report.Contemp Clin Dent 2011;2(1):41-4. (PUBMED INDEXED, DCI POINTS-7.5).
. Ashish gupta, Rahul sood, Pankaj bansal :bilateral ameloblastic fibroma in 6 yr old child- rare case report J Oral Health Comm dent 2010; 4(3): 88-91.
. Rohatgi Sumidha,S.C Narula, Rajnder sharma, Shikha tewari ,Pankaj bansal.A study on clinical attachement loss and gingival inflammation as etiologic factors in pathologic migration.Provisionally accepted in N J Clin Prac (indexed in medline).
. Passi Sidhi, Pandit K, Vidhi Mehta,Pankaj Bansal, Sumidha bansal.Papillon lefevreSyndrome. ; A case report;Ind J Dent Edu. Jan 2009, Vol 2, 39-41. A. Publications under category-I of DCI letter.
. Surg cdr SS Chopra,Surg cdr SS Pandey. Occupational hazards among Dental surgeons.MJAFI 2007; 63:23-25. Guest lecture on “complications in oral surgery” at IDA meet 2010. Guest lecture IDA gurgaon on oral surgery and general dentistry. Topic: Hepatitis B & C: Emerging Sourge in Oral & Maxillofacial Surgery. N J Max. Fac. Surg. Vol (1). Dec. (2009). 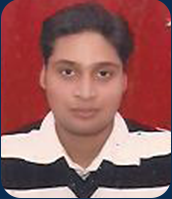 Dr. Pankaj Bansal is a graduate and post graduate from PGIMS, Rohtak. He is presently working as a Professor in the department of Oral and Maxillofacial Surgery (Sudha Rustagi College of Dental Sciences, Faridabad). He is also PGDHM (Post Graduate Diploma in Hospital Administration) and CENEVEC from Symbiosis, Pune. He is author of a book and has more than two dozen papers in national and international journals to his credit. He is also reviewer for international journals. Dr. Pankaj is also a director of ACEHEALTH. He has been a speaker at various forums at national conferences and CDE on topics of implantology and surgical pathology. 2. Ashish Gupta, Pankaj Bansal ; Mandibular Swelling- Can it be Multiple Myeloma? Indian Journal of Dental Sciences. Issue: 4, Vol:3, Oct 2015 supp, 25-27. Official journal of himachal university, Shimla ( govt). 4. Pankaj bansal, Sumidha rohatgi, Navneet sheokhand. Skillful management of exodontia complication to prevent dreadful sequelae. J Clin Exp Dent. 2010;2(4):e1-3 (publication of medicina oral). 5. Rohatgi Sumidha,S.C Narula, Rajnder sharma, Shikha tewari , Pankaj bansal. A study on clinical attachement loss and gingival inflammation as etiologic factors in pathologic migration. Published in N J ClinPrac jan 2012 isssue ( indexed in pubmed ). 8. Ashish gupta, Pankaj bansal; impacted mandibular first molar manifestation as neurologic pain; an interesting case report. Clin Dent (official publication of IDA) Oct 2010. 9. Ashish gupta, Rahul sood, Pankaj bansal : bilateral ameloblastic fibroma in 6 yr old child- rare case report J Oral Health Comm dent 2010; 4(3): 88-91. 13. Passi Sidhi, Pandit K, Vidhi Mehta, Pankaj Bansal, Sumidha bansal. Papillon lefevre Syndrome. ; A case report; Ind J Dent Edu. Jan 2009, Vol 2, 39-41. 14. Pankaj bansal, Sumidha bansal. Jaypee brothers. ‘Crack it now’. Clinica mcqs with explanation in dental sciences. 2008. 15. Ashish gupta, Madhumani Kumra, Pankaj bansal, Monika malohtra. Journey from pinborg to gorlin cyst. published in Clinical Dentistry, feb 2012 issue. 16. Pankaj bansal, virender singh, brig SC anand. Role of anterior mandibular body ostectomy in mandibular deformities. National journal of maxillofacial surgery. 2013;4(1):57-65. 17. Archna agnihotri,Dr rosy arora, Dr pankaj bansal. Plunging ranula without oral component; an overview and case report.IJRD vol 3(3), may-june 2013. 18. Pankaj bansal.Commentary; Editorial; third molar impactions in western Indian population.Journal of craniomaxillary diseases. 2013;2(1);41-4. 19. Ashish Gupta, Pankaj Bansal, Rahul Sharma, Preety Maheshwari. Post Tmj surgery Chondritis:Unusual complication. Indian Journal of Dental Sciences. Oct 2014, Issue 4, Vol 6. 20. Dr Sneha D Sharma, Dr Ashish Gupta, Dr Pankaj Bansal. Role of p53 in diagnosis and post operative early detection of recurrences in oral leucoplakic patients. 2015oct(suppl) 7(4);14-17. 21. Sumidha Bansal, Pankaj Bansal, Amit Gupta. Generalized severe short root anomaly: A diagnostic dilemma. Indian J Oral Sci 2015;6(3):88-92. 22. TV Narayan, Sumidha Bansal, Pankaj Bansal, Sarita Narayan. Dynamics of bone graft healing around dental implants. J Int Clin Dent Res Org supplement 1, volume 7, 2015;40-47. 27. Hemangiopericytoma in a 4 year old child- A rare case report.- Accepted for publication.